Getting fences built and repaired is a tricky venture, even at the best of times. 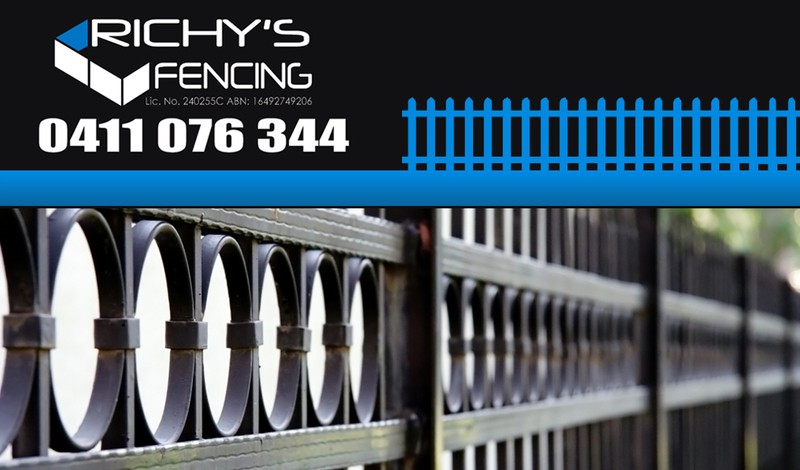 For a reliable, upfront provider of fencing repairs, construction and materials, look no further than Richy’s Fencing. With over ten years experience in fencing, we are fully insured and licensed to take on board new jobs in your backyard. Our corporation keeps up to date with the latest in legislation and regulations from local government. This means we’ve built a brand the community and government can trust, and we delight in getting the job done well. With a fast turnaround and quote, we know you won’t be disappointed with our timing Everything about Richy’s Fencing is upfront, reliable and honest, so that you know precisely what you’re paying for. With an unparalleled reputation for fencing quality, our customer oriented business is built on the informed handyman model. This means we are in the know when it comes to which materials will suit your garden, budget and requirements. Order Australian owned and produced fencing with Richy’s Fencing, a leading provider of fencing in the Canterbury area. We deal in a wide variety of fencing material, including aluminium, colourbond, gates and timber. All our quotes are done online so you can get a feel for the cost before you get us on board. We operate in many areas across the Sydney region, including Liverpool and Padstow. For an overview of our areas of operation, please see our service location area. We understand how important it is to be flexible to all business schedules and always aim to prevent clashes with your work. Wherever possible, we will work around you, doing the best job we possibly can. You’ve found the right fencing provider in Padstow to do business with. Contact Richy’s today for a free quote.